Courtesy of "Bats About Our Town." destructans fungus that causes White-nose Syndrome in North America originated in Europe, where it is still found but does not cause mass deaths of bats. This suggests that European bats may have faced WNS sometime in the past and the bats that survived evolved to have immunological or behavioral resistance to the disease. This research also demonstrates that the WNS fungus was almost certainly carried, inadvertently, by humans from an infected European cave to North America. Since it was first reported on the muzzles of little brown bats in New York’s Howes Cave, WNS has killed more than 5.7 million bats, according to federal biologists. This new evidence that humans can carry and spread the fungus reinforces the need for targeted closures of caves used by bats, as well as strict adherence to decontamination procedures outlined by the U.S. Fish and Wildlife Service. We must all do everything we can to prevent or at least slow the spread of this tragic disease. We will continue sending you the latest updates on all White-nose Syndrome developments. P.S. 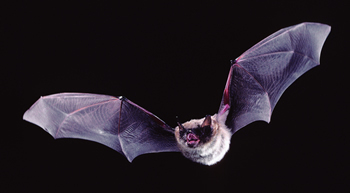 Learn more about WNS and bat conservation on our website.